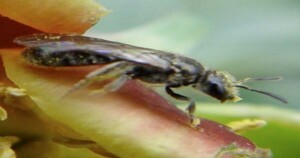 Pollination is central to successful reproduction in most plants. Simply stated, it is the transfer of pollen grains from the stamen of one flower to the stigma of the same or another flower. Some plants are self-pollinated or wind-pollinated, but most depend on insects, birds, bats, and other organisms — collectively referred to as pollinators — to transport the pollen for them. The coevolution of pollinators and the pollination process is one of nature’s unique solutions to the dilemma of sexual reproduction among stationary plant organisms. Plants have developed scents, colors, and shapes that make them attractive to pollinators who, in turn, have developed physical characteristics that allow them to gather and transport pollen as they seek food. The relationships between flowering plants and their pollinators have evolved since the early Cretaceous period, some 140 million years ago. These relationships are usually mutually beneficial to both parties. Pollinators assist in the reproduction of plants by transporting pollen. 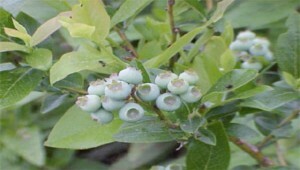 (Flowers that are not pollinated are not able to produce fruits and seeds.) In return, flowering plants produce nectar, a highly nutritious, sugar-based substance and a critical source of food for pollinators. Pollinators may be generalists, such as bees, that make visits to many different types of flowering plants. Or they may be specialists, such as yucca moths, that pollinate only one type of plant. as well as providing beauty and educational opportunities to gardens, fields and farms. The availability of pollinators is as important as moisture, sunlight, and soil fertility to the reproductive success of the world’s flowering plants. Pollination is also vital to the well-being of humans. The most obvious example of our link to pollination is agriculture. Pollination, by managed honey bees and wild pollinators, is a key factor in the productivity of the seed, fruit, and fiber crops that we depend upon. Almost all fruit and grain crops require successful pollination in order to produce the harvested crop. While it is true that some very important agricultural crops, such as rice, corn, and wheat, are self- or wind-pollinated, the majority requires the services of pollinators. Over 150 food crops in the United States — among them apples, alfalfa, almonds, blueberries, cranberries, kiwis, melons, pears, plums, and squash, depend on pollinators. Thirty percent of the food we eat is dependent upon pollinators for production.